Benjamin Gaulon is an artist, researcher and art college lecturer. He has previously released work under the name "Recyclism". 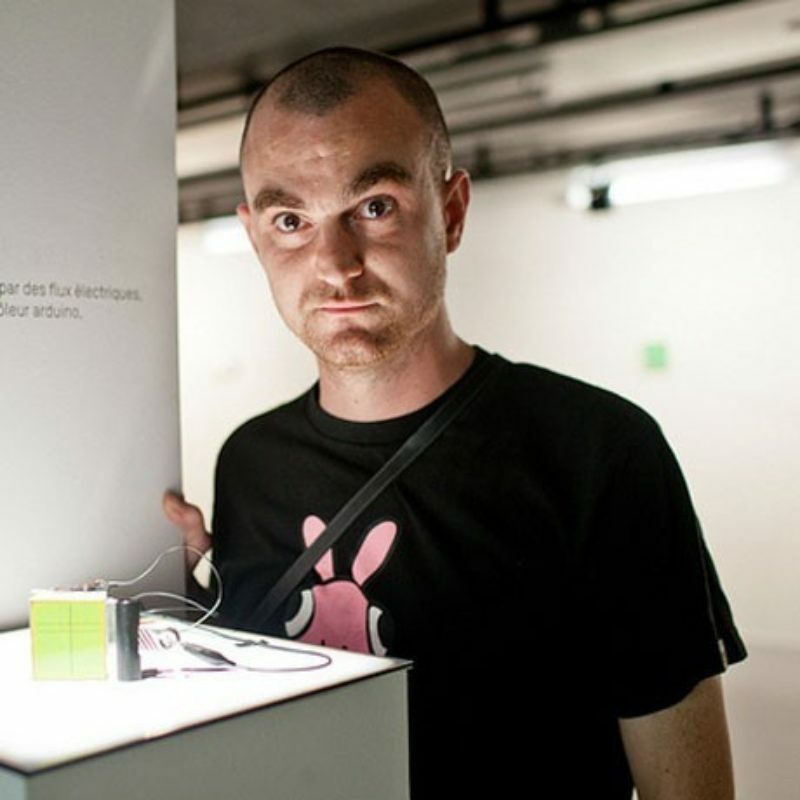 His research focuses on the limits and failures of information and communication technologies; planned obsolescence, consumerism and disposable society; ownership and privacy; through the exploration of détournement, hacking and recycling. 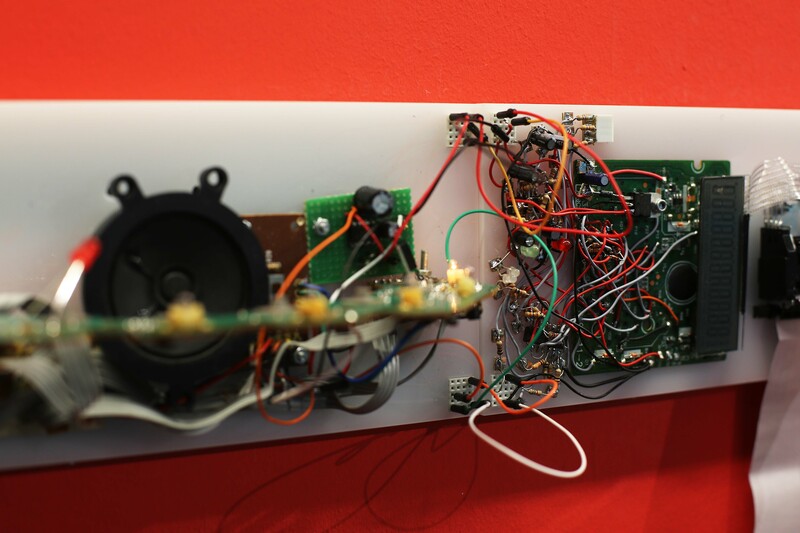 His projects can be softwares, installations, pieces of hardware, web based projects, interactive works, street art interventions and are, when applicable, open source. 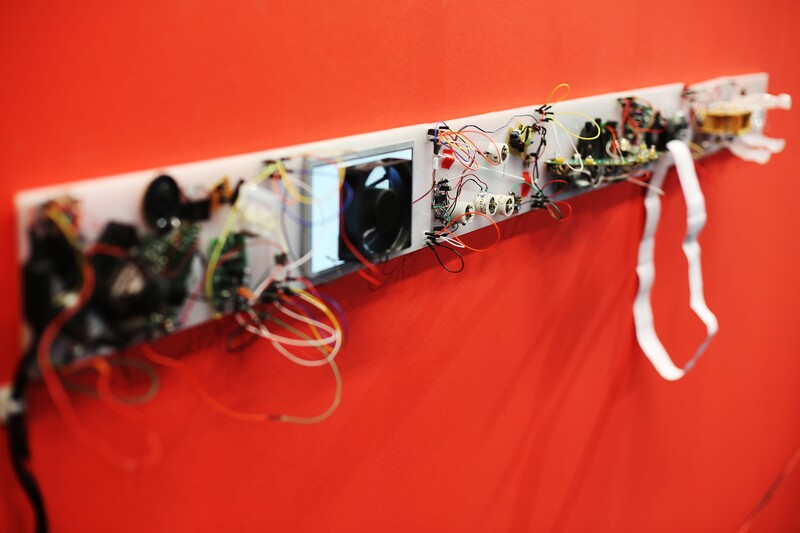 A series of multimedia sculptures that (re)uses numerous ’obsolete’ electronic devices. 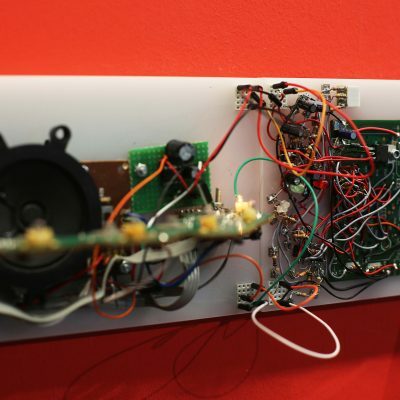 Those devices are hacked, misused and combined into a complex chain of elements. 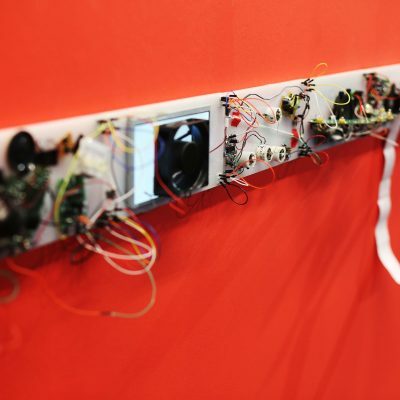 To use an ecological analogy they ‘interact’ in different symbiotic relationships such as mutualism, parasitism and commensalism, experimenting and exploring unchallenged possibilities of ‘obsolete’ electronic and digital media technologies and our relationship with technologies and consumption. 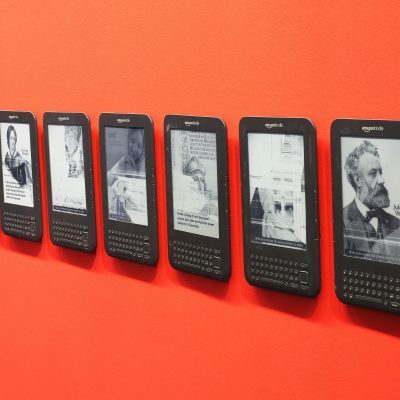 A series of glitched Kindles donated, found or bought on eBay, signed by the artist. 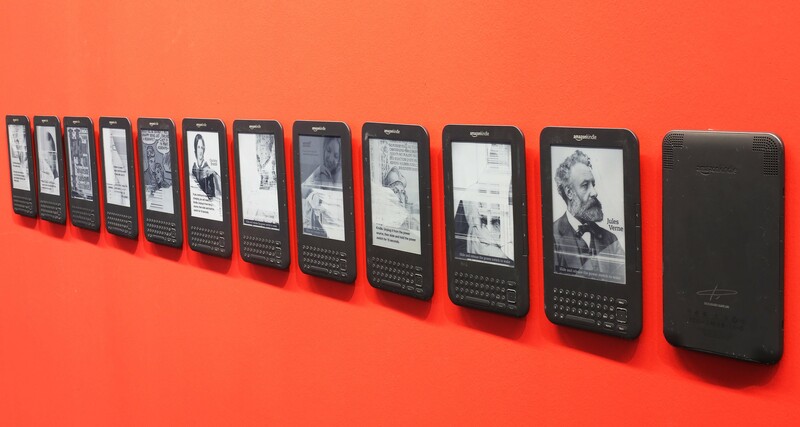 The generated visuals on each Kindle are unique and permanent, and the work explores the aesthetics of planned obsolescence, referring to the twentieth century tradition of ready-mades in art, and the twenty-first century development of Glitch Art – the practice of using the flaws, faults and ‘glitches’ of technology in an artwork.